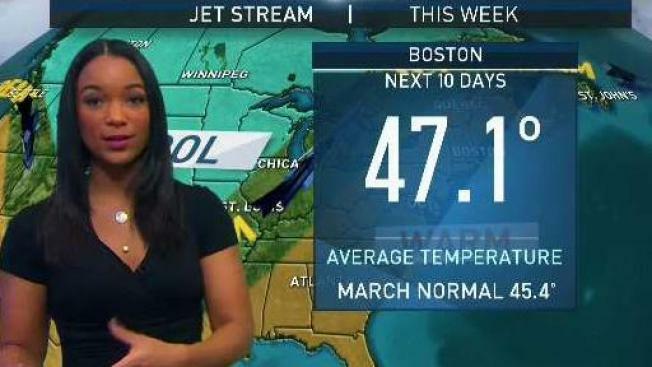 Much to the delight of many, signs of spring show up this week across New England. Temperatures Monday morning will start in the 30s for most, with just a few isolated slick spots. Early sunshine will give way to a mix of sun and clouds during the afternoon, with highs climbing into the 40s. A gusty northwest wind will continue to produce a few upslope snow showers in the mountains of northern New England. Tuesday is the coolest day of the week, despite featuring lots of sun. Highs will be in the 30s to near 40. We’re back into the 40s, close to normal, on Wednesday, with temperatures close to 50 on Thursday and 60 on Friday! The only catch is that both Thursday and Friday will be mostly cloudy, with a few spotty rain showers to end the week. Next weekend turns cooler just in time for St. Patrick’s Day, and that cooler weather will continue into the first day of spring.